A grand occasion calls for a bottle of champagne and some glorious glasses to showcase the bubbles! 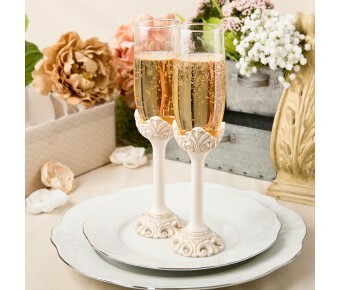 Add a stunning ambiance to your dinner table with these vintage style flute shaped champagne glasses. The glasses feature a poly resin base, hand painted in an antique ivory colour with a subtle gold leaf brush finish. The stem has a lovely detailed open flourish design. The top of the flute is glass and can hold 8 oz of your favorite liquid libation. These classy flutes come in sets of two. Use for a perfect romantic dinner or to toast a special occasion with family and friends! 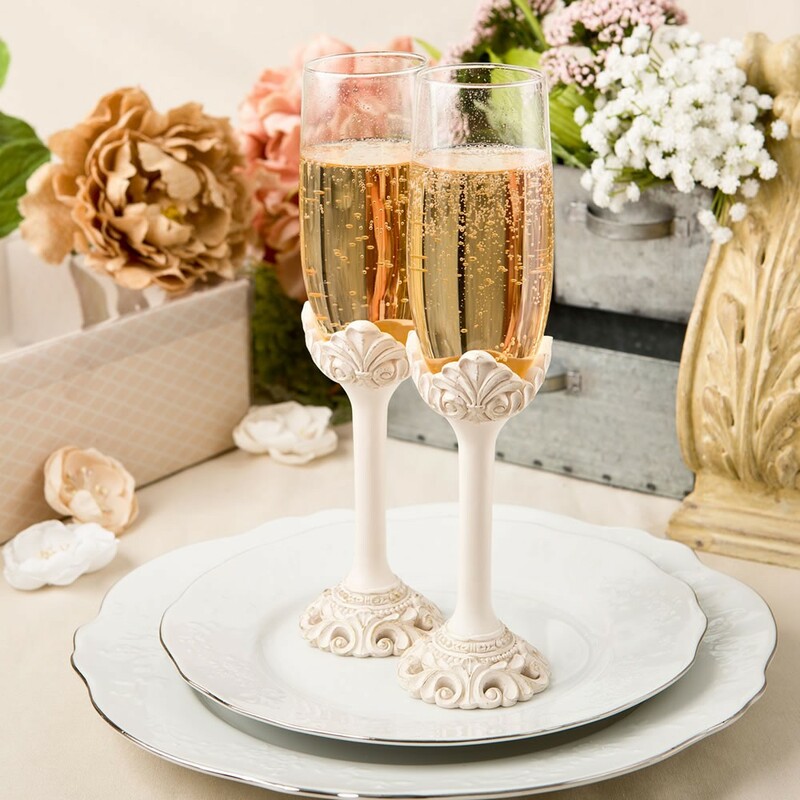 A fabulous champagne toasting set for any grand occasion!